There are four main paths in Yoga – Karma Yoga, Bhakti Yoga, Raja Yoga and Gyan Yoga. Of these, sage Patanjali has defined whole Raja Yoga in one Sutra – ‘Yogas Chitta Vritti Nirodhah‘ – which means by the suppression of the modifications of the mind-stuff or restraining the thought waves, a man obtains Yoga. Raja Yoga is the Royal Road to freedom from misery. Raja Yoga is not just about Meditation, but it reflects an effort to balance and harmonize mental behavior. Raja Yoga begins after Hatha Yoga when the body and Prana are balanced and organized. Raja Yoga of Sage Patanjali has eight stages, called Ashtanga Yoga and for the attainment of Raja Yoga, one has to move forward step by step. The eight stages of Raja Yoga are – Yama, Niyama, Asana, Pranayama, Pratyahara, Dharana, Dhyana, and Samadhi. The first two stages, Yama and Niyama are the tools to improve the behavior of the mind. The mind is conditioned, defined and subject to habits. It is governed by habits. To change the mental behavior, which is guided by passion and aggression, one has to follow the path of Yama and Niyama. In Yoga, there are 40 Yamas, out of which Maharshi Patanjali selected five for the Raja Yoga: Ahimsa, Satya, Asteya, Aparigraha, and Brahmacharya. Yama is the very foundation of Yoga. The practice of Yama is, in fact, the practice of Sadachara (Right Conduct). Ahimsa, the non-violence comes first, and if one is established in Ahimsa, all other virtues will come to him by itself. The five Yamas constitute an effort to transform the negativity of mind by cultivating the positivity in it. This further help in reducing the effect and influence of one’s passions, aggressions, desires, greed, ego, hatred and jealousies and mind finds peace. This is the purpose of Yamas. Niyamas or the observances are the practice of internal and external purity, contentment, austerity, the study of scriptures and worshipping and self-surrender to God. Niyama is the second accessory of Yoga and has five limbs: Shaucha, Santosha, Tapas, Svadhyaya, and Ishwar-Pranidhana. Shaucha means cleanliness, elimination or purity. It is not only the physical cleanliness but the purity of senses, of thoughts, of intention and of emotions. Santosh or contentment or the sense of “I am fulfilled” comes when one is free from desires and passions or one has transcended, overcome and regulated them. Tapas-austerity of mind and the body- means that one should be able to bear the heat and cold, physical discomfort; as well as insult, injury, persecution and any sort of humiliation. Tapas is a spiritual discipline. Swadhyaya is not only the study of scriptures realized by the realized sages but is the self-awareness, self-reflection, self-introspection, and self-observation. Ishwar Pranidhana is having faith in The Higher Power. Everyone is controlled by some higher power, the power which is the cause of growth, development, and evolution in life. That power is Ishwara. Asana is the third stage of Raja Yoga. The definition of asana by Sage Patanjali is different from what it is in ‘Hatha yoga’. According to him, asana is ‘sthiram sukham asanam’, a posture in which one is comfortable and steady for an extended period of time, thereby representing a meditative dimension. The definition of Pranayama by Sage Patanjali also is not the same as that in Hatha Yoga. It speaks of only three pranayama – inhalation is one, exhalation is another one and retention of the breath is the third pranayama. Sage Patanjali has stated only these three pranayamas which represent the attainment of balance between the positive and negative poles of life – Ida and Pingala. Pratyahara begins with the relaxation of senses and mind. Yoga Nidra can be said to be the first practice of Pratyahara. Antar Mouna or inner silence and Ajapa Japa are other practices of Pratyahara. Pratyahara prepares the mind and leads one to the state of Dharana, which means unwavering concentration. Dharana is maintaining the one-pointed state of the mind. When concentration becomes unwavering and fixed, the meditation or the Dhyana begins. So it is to be stated that Dhyana or the meditation is not the practice but is a state attained after the perfection of Pratyahara and Dharana. As the state of meditation deepens, a stage is reached when one attains the state of Samadhi. Samadhi is not liberation or self-realization but is a balanced state of the mind. It is a calm, awakened and deeply state of mind. Therefore, in Patanjali’s eight-fold path of Yoga, called Ashtanga Yoga, the practices are only six viz. Yama, Niyama, asana, pranayama, pratyahara, and Dharana. The remaining two stages, which are dhyana and Samadhi, do represent the attainment of the perfection of the first six stages. When the state of Dhyana (meditation) is achieved, it may be stated the journey from the conditioned Tamasic state to the luminous Sattwic state has begun. 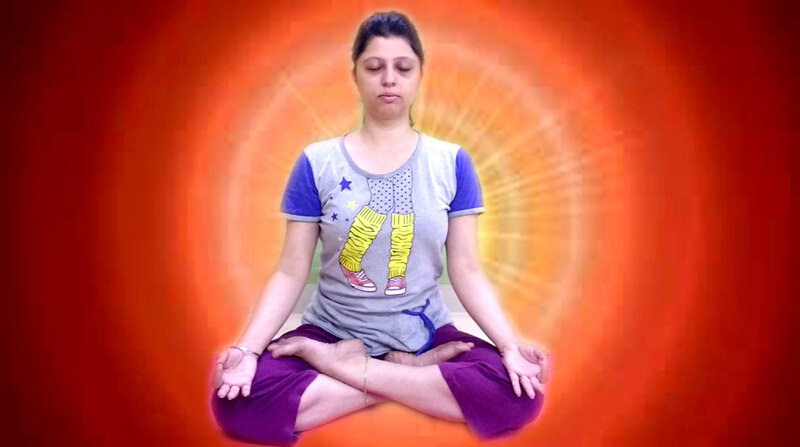 Raja Yoga is the Yoga for developing and harmonizing the mind. When with the practice of Raja Yoga one comes to a state of internal peace, fullness and internal harmony, then Raja Yoga is over and the spiritual journey begins.